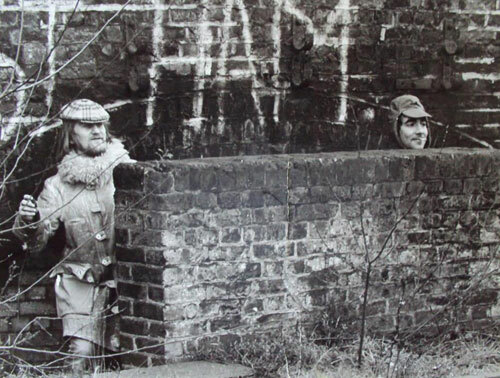 He was Keith Moon’s PA and sidekick, as well as author of the soon to be republished Full Moon. Mark Raison of Monkey Picks chats to Dougal Butler about the man, mod and the reissue of the classic book. 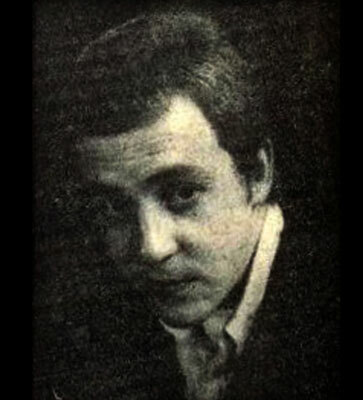 Peter ‘Dougal’ Butler had the daunting job title of Keith Moon’s Personal Assistant. Dougal’s account, first published in the UK in 1981 as Moon The Loon, lovingly catalogues ten years of crazy escapades, often in bawdy detail. It is one of the funniest books you’ll ever read and an appropriately hilarious tribute to his former employer. Long out of print, it now sees the light again thanks to a new edition published on the 7th July as Full Moon by Faber Finds, available as a ‘proper’ book and an e-book. An audio version follows on the 1st August. I shared a cup of tea, a chinwag, and plenty of laughs with its very genial author. How do you feel about seeing your book back in print? I’m – excuse the pun – over the moon about it. Word for word that is how Keith sounded, those were his antics. I’m really pleased with it even though it’s now thirty years later. It’s coming out exactly as it was, no changes, and Keith’s old friend Karl Howman has done a brilliant job reading the entire book for the audio version for Talking Books. 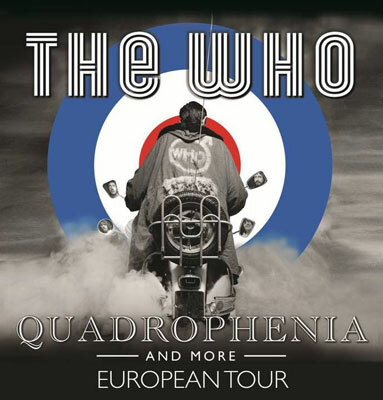 Where did you first see The Who? Either the Blue Moon in Hayes or a big gig they did at the Southall Community Centre. I was wearing my Ivy League suit and BlueBeat hat and I remember them doing ‘Heatwave’ and ‘Barbara Ann’ so it was 1964 or maybe early 1965. I used to go and see them all the time. They were my favourite band, I was a mod and I spent all my money on clothes. I used to go on my mate’s scooter to all the places: the Ricky Tick, the Blue Moon, the Marquee, and the 100 Club. We’d meet at the Queen’s Head in Uxbridge and everyone would go to Burton’s Dancehall around the corner on a Saturday night before getting the tube into town to the Flamingo. Then we’d jump on the milk train to get back at five o’clock in the morning. Did you own a scooter? I never had my own scooter as my parents said I’d kill myself. Me and my mates clubbed together to buy an early 1950s Rover, running boards, the lot, for £17 to go down to Brighton. I was still at school and not old enough to have a licence but my parents were away so we put it in their garage and cleaned it all up. Eight of us drove it down to Brighton, no licence, no tax, all done up to the nines in all our mod gear. There were thousands of mods around and we nicked the tax disc from this two-seater Messerschmitt car there and put it on ours. Slept in the car, and of course all the riots and stuff started happened and three of my mates were arrested, so we panicked and left it down there and caught the train home. Never saw it again. What were the riots as bad as we read? Oh yeah. Obviously the press build things up but it was all running along Brighton front with the rockers and that. It was horrible down on the beach. When you get older you wonder why you did it, what was the cause, did it but it was an of the moment thing. How did you first get involved with working for The Who in 1967? Mod connections through Bob Pridden, who is still the Who’s road manager. Although I was born in Southall I grew up mainly in Hayes but didn’t like Hayes so ventured a bit further out and knew Bob when he was a mod and had a scooter and we went to see The Who together. Bob said he’d got a job with the band starting with a two week tour of Scotland. I was on 5 pound a week and Bob said he’d give me 15 quid a week to help him. I thought I’d won the lottery. I went home and told me mum, all proud as punch. ‘Ah, you don’t know what you’re doing, you’ll be into drugs. I thought you said you’d be doing an apprenticeship to do central heating’. But it was only for two weeks so I did it and they asked me to stay. What were your first impressions meeting the band? Prior to going to on tour Bob took me to Track Records office in Old Compton Street to meet the people there. Unbeknown to me Keith and John walked in. Keith was wearing this second hand fur coat and introduced himself and John. You know when you’re attracted to someone, and know you’re going to get along, have a laugh and have some fun. It was just instant with Keith and John. To cut a long story short I left the office and they left too. Me and Bob stopped at some traffic lights in St. John’s Wood and they pull up by the side of us on the right hand side. I’ve got the window down and Keith shouting ‘Alright mate! Welcome!’ and chucks a bloody great smoke bomb through the window. We were stuck at the lights with our car filling up with blue smoke, couldn’t see nothing, just laughing our heads off. So that was my inauguration. How do you move from being a roadie to working as a personal assistant? I worked with John as his PA first for a while, which was great, a fabulous guy. I didn’t fall out with John at all but I got a call from Keith to be his PA. I think the guy who was then working for Keith was trying to be Keith, if you understand what I mean. I got a phone call about eleven o’clock at night at my parent’s house. ‘I’ve had a word with John and I want you to work for me.’ I was like er, er, er, what am I getting myself into here? I took it and Kit Lambert and Chris Stamp came up to me after and said: ‘We trust you with Keith but if you ever want any time off, for a holiday or some sort of rest, let us know and we’ll pay for it.’ This was great of them, although I never took up their offer. Did you have a job description of any kind? No, I’d just take it as it came. You never knew what corner he’d turn so you just had to be on your toes. It was instant decisions about what to do. Luckily 90% of time it worked and I got him out of situations. I was never a fighter, just had to use a bit of tact. Some of these guys we met had bodyguards when they went out, but Keith just had me: ten stone of f*** all, which was a challenge but we managed to wheedle our way out of most things. Me and Keith had our arguments but he was great. I never told him what he could or couldn’t do because it wasn’t my bag but I kept my eye on him and he was great fun. If he wanted to do something he’d do it. Sometimes I’d hold his coat and say go for it. What you learnt was what was going on in his mind and tried to be a step or two ahead but he was very unpredictable. Did Keith have any limits? No, he didn’t have any limits, and I think that was with his drugs sometimes. They were legal – drynamil and mandrax – but Keith would take handfuls instead of two or three a day. So those mixed with the alcohol would mean he didn’t know when to stop. He was trying to make people laugh and be Mr Funny, he wanted people to love him and enjoy him, but he would go so far. Like a train ride you couldn’t stop. I’d have to say to him: ‘Look Keith, we’ve got to be up at seven o’clock in the morning – not that we ever got up then –for a photo shoot or recording, come on, we’ve got to go’ to get him home. Keith would do anything for a laugh. Most guys when they’re single will always meet up with the boys on a Friday night in the pub, and there’s always one of them that you hope is going to be there because they are a character, have a great sense of humour and will come out with jokes, and make you laugh. And Keith was one of those characters. He was a joy to be around, most of the time, although he could also be a right pain in the arse. Do you think he ever would have settled down? No I don’t think so. I knew he was trying to get off the booze and drugs just before he died and I’d put him into AA over in LA, and over here, but any drug addict or alcoholic will tell you that you can get all the help from your family and friends but the only person that can do it is that person ‘themself’. You can lead a horse to water but you can’t make it drink. It’s hard to imagine Keith with a hobby but did he have any interests? No, none. I suppose if he’d been into football or golf or cricket or whatever he would’ve had a routine of some sort but he wasn’t interested in anything, nothing at all. He never even practised the drums. The only time he practised was when the band was rehearsing for tours. He never had a drum kit at home or in the garage. He wasn’t into keeping fit like Roger was. He just loved eating and drinking at home. His beach house in LA, next door to Steve McQueen, had a beautiful lounge but he never spend any time in there. He’d be in his bedroom watching TV and that was that. 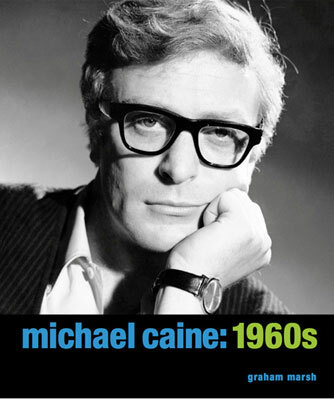 How was he on set for That’ll Be The Day and Stardust? Didn’t Oliver Reed buy Keith a tortoise? Yes, they used to bring it on set during Tommy and when there was a break in filming they’d put it on the table with a glass of brandy on its back and pass between each other. He was great Ollie. We first met him before starting Tommy when Keith said to the film people he needed a helicopter. ‘Yes, I’d like a helicopter now please, from Battersea. I want to pop round and see Ollie to break the ice.’ So we flew to his place just outside Dorking and Ollie is there with a twelve-bore shotgun going “F*** off!’ shooting at us. The pilot is nearly shitting himself, Keith was laughing, I was thinking oh god what’s going to happen here: Keith, Ollie, a shotgun, and they’ve not even met yet! They got on like a house on fire. That night the three of us got absolutely pissed and he was teaching Keith Shakespeare. No, he didn’t really. 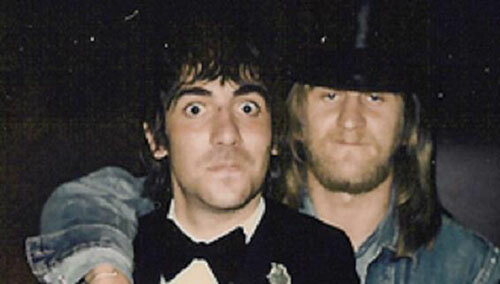 There was Ringo, Harry Nilsson, and the rest of The Who but as close, close friends he didn’t really have one. 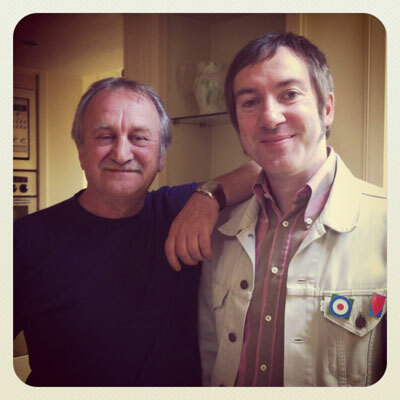 He’d phone me up and talk to me about anything and probably Pete Townshend as well if he was worried about something. Pete was a gentleman enough to hang on the phone and talk for a bit but he knew when Keith was out of it and put the phone down on him knowing he’d forget all about it. Did you consider yourself a proper mate to him? Yeah I did and think that was how we got on. I’d get fired every week and I’d threaten to leave the next week but it was a love relationship. I don’t mean in a sexual way, let’s get that straight right away! We were good, good mates and sometimes that doesn’t work in business but I suppose I didn’t look at it as a business, but it became too much for me in the end, especially living in LA with all these hangers-on, I could just see him not making it. What was his relationship like with his wife Kim when they were at living at Tara House in Chertsey? Do you think Kim was the only person Keith really loved? Yes, and I don’t mean to hurt Annette who he was with after, but I do really truly believe that. For instance, when we were living in LA with Annette, Keith used to love his curries and there was only one Indian restaurant in Santa Monica and we went and ordered a takeaway. There was this girl in there that looked the spitting image of Kim. He ordered his meal, looked up, clocked her, and went and sat outside. He was sobbing his heart out. I knew what he’d seen. But Keith never learnt his lessons. He went through it again with Annette and abused that situation too. What’s your favourite Moonie exploit? There are lots. Throwing cherry bombs in lifts when you didn’t know who was in there was good fun and when we were in Detroit Judy Carne was doing a play with Patrick MacNee and they were staying at the same hotel as us. We’d done the gig and went back to the hotel to find them and a guy from Three Dog Night who was with Judy. We were chatting and getting slowly pissed in their room and after a while I said to Keith we’d better go as they wanted to go to bed. In the meantime we’d bought these gas guns. We got back to our room and were still buzzing and thinking what shall we do now. So we decided to go back to their room and set these gas guns off for a laugh. We’re back in the lift, hiding these guns for the security guys, and Keith couldn’t remember what suite they were in. I said I thought it was this one and we tucked the guns underneath their door and on the count of three we fired them. BOOM! All of a sudden there was this ‘rrroof-rrroof-rrroof’, dogs barking. I said to Keith ‘F*** me, I don’t remember them having dogs!’ There was some woman in there who was taking her dogs to a dog show and we’d gassed them! We ran back to our room and were in hysterics. They didn’t die or anything, the gas only really created a bit of smell and then it goes. The 1970s rock and roll lifestyle was divorced from most people’s reality, how was it for you? I tried to keep my feet on the ground. In those days, the late 60s, early 70s a lot of the roadies and people would knock around together but I didn’t, I tried to keep away from that, tried to keep with my own mates who were totally separate from that industry. Hence I’d go down the Coach and Horse in Ickenham, and go to parties with ‘normal people’ if you like, to get away from that madness. Although, don’t get me wrong, when I did go to industry parties I’d enjoy myself but as far as my mates went they had normal jobs and that kept me sane. Did Keith’s behaviour wear the rest of The Who down? Roger said to me four or five months before I left that I needed to have a word with Keith because if he didn’t get himself together he would be out of the band. I said I couldn’t tell him that, it had to come from him and the rest of the band. I didn’t think it should come from me. I think the quality of his lifestyle did effect his drumming in the end. He’d ballooned up, put on a lot of weight. I don’t know if he sort of gave up but I know he wouldn’t have committed suicide. How did it end with the pair of you? We had one big punch-up, and we never hit each other before, ever, but fists were thrown. I don’t mind admitting it but I was taking coke, only a little bit just to keep up with Keith, but I didn’t want to go down that road. I could see Keith destroying himself. I let him have it and we had words, ‘you’re this’, and ‘you’re that.’ I rang up The Who’s manager Bill Curbishley and said he had to bring him home from LA because I can’t do this anymore and one of us is going to pop our socks and it f***ing ain’t going to be me. If he didn’t get him home he’d be dead within months. Anyway, we got him home and Pete bought him a flat, but as we know he would die about nine months later. Do you still keep in contact with The Who? I speak to Roger five or six times a year, less so Pete who I’ve not spoken to for a while. I still see Alison Entwistle and spend a lot of time with her, and Keith’s mum has moved down the road so I pop in for a cup of tea with her and Keith’s sister. Finally, if you had to advertise the job as Keith’s personal assistant, what would you say? Long days and nights, sense of humour, and must handle with care. 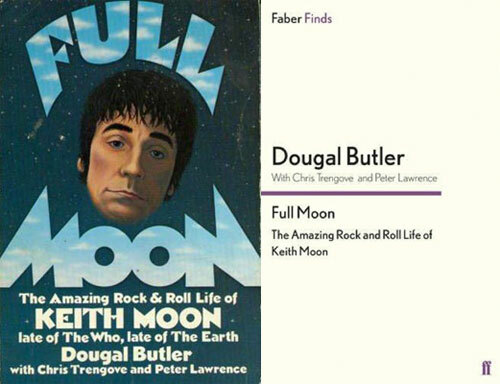 Full Moon by Peter ‘Dougal’ Butler with Chris Trengrove and Peter Lawrence is published by Faber Finds. You can grab yourself a copy here. Dougal will be signing copies at the Who’s Who gig this Saturday, 7th July, at the Half Moon, Putney. Interview by Mark Raison of the Monkey Picks site and Paula Baker. Huge thanks to Dougal, Mark and Paula for this. Another brilliant interview by Mark.Chers MC. Fantastic interview, the Book, is a must read!! !